The saluting and ceremonial Cannons Cal. 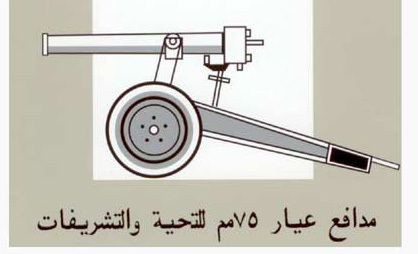 75mm Model M635, Bavaria and Saxonia were designed for the purpose of saluting official State visitors such as Kings and Presidents as well as to announce the beginning of the IFTAR and the IMSAK during the Holy month of Ramadan. Therefore, they do not have any offensive or defensive capabillity.